It’s never too late for a Valentine themed biscuit and given we had friends over for dinner on Friday, in the middle of my sugar fast, I had to come up with something quick! 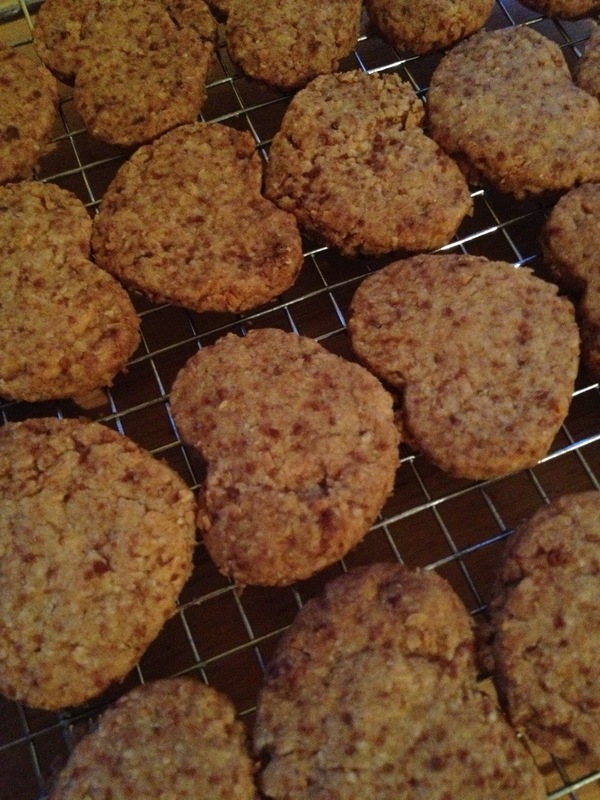 I first created these biscuits a few months ago, when I discovered raw coconut sugar. Raw coconut sugar is made from the sap of coconut blossom. It is processed at very low temperatures (hence it’s a raw ingredient) which means it retains all of its nutrients including magnesium, potassium, zinc, B vitamins and amino acids. It also has a low glycaemic index of 35 (similar to skimmed milk), so won’t create the sugar spikes in your body that traditionally processed sugars will. I love it because unlike processed sugar replacements, you can use it in baking and it tastes really sweet so you don’t need so much. The obvious (when you come to buy it) downside to coconut sugar is the price tag. But I roughly totted up the cost of my scrummy shortbreads and 24 biscuits, the equivalent of two packets of high street biscuits, cost under £2, similar to a packet of high end supermarket brand, luxury nibbles. I’ve also packed these biscuits full of almonds to help combat the refined flour that I’ve added. You could try an alternative but for this recipe, the biscuits are so crumbly and short that you need a little gluten to hold them together. Start by toasting the coconut. 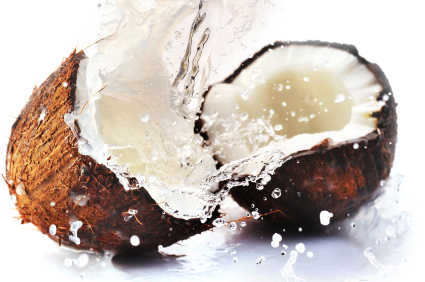 Tip the coconut into a flat, baking or roasting dish (metallic) and spread evenly. Toast in the oven for around 5 minutes. You’ll need to keep checking since it will suddenly turn. You’re looking for a light golden colour rather than brow. In a large bowl mix the remaining dry ingredients together and give them a good stir. Add the toasted and cooled coconut and finally the butter, diced. Work the butter into the dry ingredients as if you were making scones or pastry. Go lightly, rubbing the fat in until it’s incorporated, then you’ll be able to create soft balls of dough. The dough will seem really soft and unworkable but if you stick with small cutters you’ll be fine! Watch out at this point if you’re cooking with children. They will want to eat the lot! Roll out each ball of dough to about half a cm and cut out biscuits. Re-rolling is more a question of squidging the stray bits together! Bake for 10-15 minutes (depending on thickness) until golden underneath and leave to cool. Best eaten on the same day but will store in an airtight container (they just go a bit soft). These would be brilliant served with thick, greek yoghurt and griddled pineapple for a no sugar dessert.